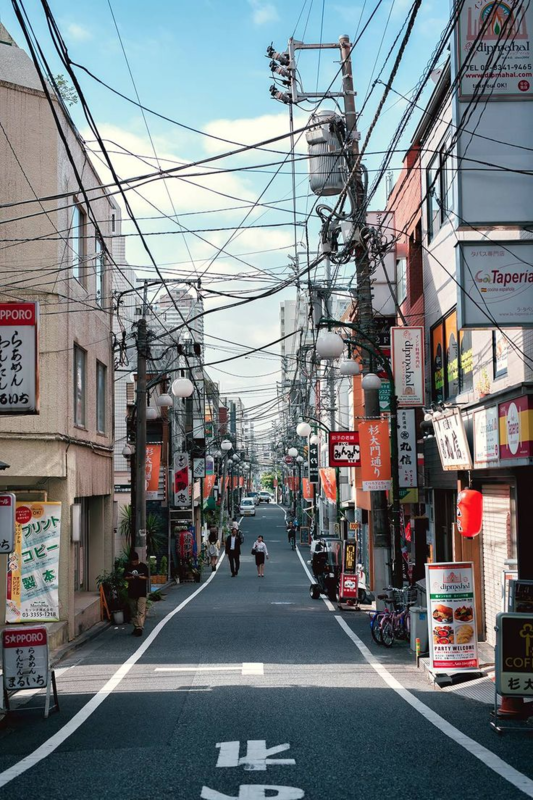 Street networks in Osaka, Kyoto, and Tokyo are highly connected. The streets are narrow, and the blocks are short, which feels more human-scale and creates more opportunity for diversity. Pedestrians feel comfortable in these dense networks, which encourages walking and biking. 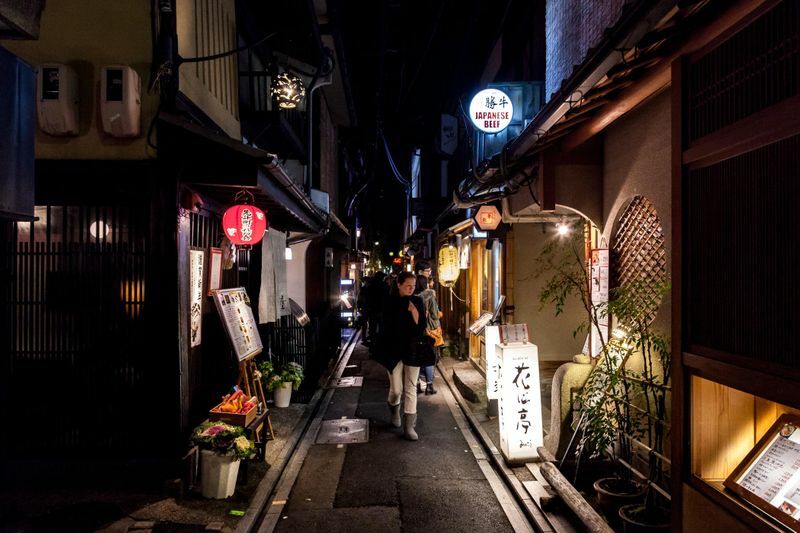 This Kyoto side street would barely be enough space between buildings to conform to most American zoning codes, let alone to count as a street. Short blocks break the social isolation of wide, long streets. Pedestrians are more likely to stop by a shop as they walk past than if they were driving, and by permitting alternative travel routes and shortening the travel distance from nearby places, short blocks open greater access to stores and services. 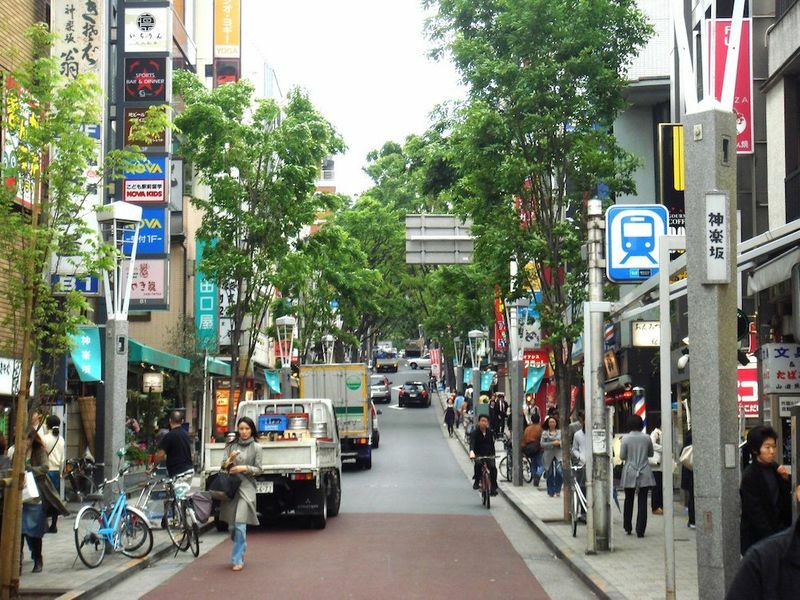 This mid-sized street in Japan would be a small alley in an American city. Cars go both directions, so they are careful. This makes pedestrians and cyclists comfortable to walk in the middle of the street (like you can seen in the picture above!). White lines delineate the center from the sides, which helps separate traffic and pedestrians when need be, but people are as if not more welcome than cars here. 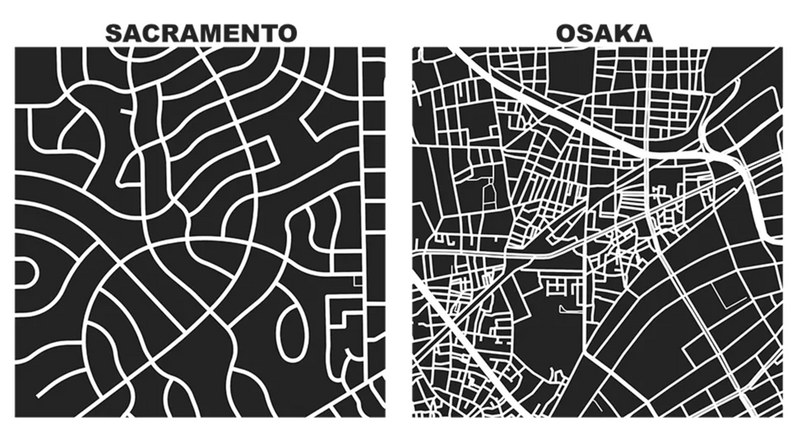 It’s useful to contrast these human-scale streets with their American counterparts. San Francisco’s South of Market (SoMa) neighborhood is an interesting case. The district’s legacy as an industrial zone left it with wide streets and longer blocks, and the effect is that pedestrians feel like second-class citizens. The 280 and 101 freeways furher emphasize this isolation by slicing right through the neighborhood. 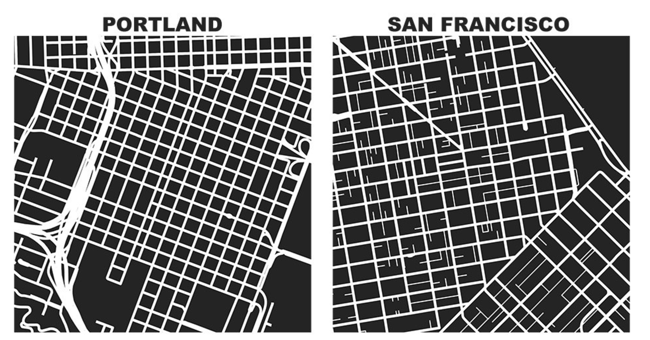 It’s no coincidence that the SF neighborhoods people most often describe as “charming" are the ones whose with smaller streets and shorter blocks. These tend to be the older ones north of Market St like Hayes Valley, NoPa, Cole Valley, and Lower Pacific Heights. Thanks to Geoff Boeing for his awesome street network visualizer tool!